Ever wondered how to get that professional natural makeup look? This densely packed Taklon synthetic kabuki brush allows for moderate to full coverage of liquid, cream and powder Foundation. 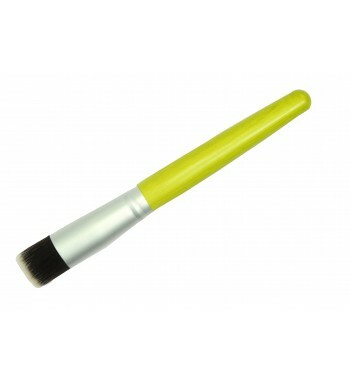 The round brush allows for easy application for the angles of the face. Design We designed the mineral foundation brush for a flawless cover makeup application. The dense bristles make it easy to apply your liquid, cream or powder mineral foundation. The long handle adds ease to your makeup application. Uses The brush is also used as a blending blush brush for bronzers and power blushes. You get a very natural look with this brush. Uniquely designed for stippling, contouring, covering imperfections, cover makeup and blending out your a luminous glow with the application of your make up! Use this kabuki brush for liquid foundation, yes, liquid foundation. You will use way less of the foundation and get a naturals look. Like the air brush look. You will get an even application, natural looking coverage, every time. 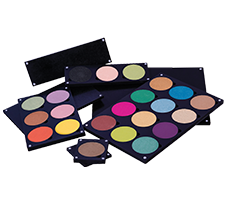 The synthetic fibers are ideal to be used with liquid, cream, mineral foundation and powder products. Kabuki brushes are easy to clean with mild soap.